Dr. Linda Peake is a Professor is cross-appointed in the Department of Social Science and the School of Women’s Studies (now Gender, Feminist and Women's Studies) at York University. She is also a member of the Graduate Programmes in Geography and Development Studies. Dr. Peake graduated from Reading University, UK, with an undergraduate degree and PhD in Geography. Since completing her PhD in 1983 she has taught at universities in England, the United States, Guyana and Canada and has conducted research in the fields of geography, urban studies, development studies and women’s studies. 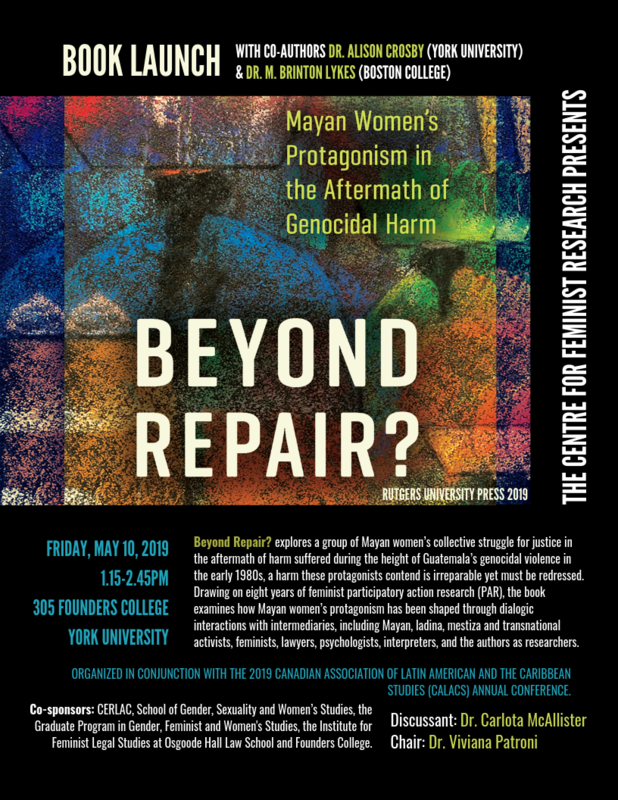 Her research interests focus on issues of feminist geographies of gender, race and sexuality, particularly as they pertain to the global south, and specifically Guyana. (4) Penetrating Neoliberalism: Changing relations of Gender, Race, Ability and Class. During this period, plans to develop the Graduate Diploma in Transnational Feminist Understandings of Peace Building, Conflict and Development were begun. In the tradition of CFR's history, the Centre also hosted several visiting scholars including: Lata Narayanaswamy, PhD candidate in the Department of Geography and Anthropology, University of Durham, UK; Kseniya Zaika, Professor and PhD candidate, State University – Higher School of Economics, Moscow, Russian Federation; Iris Mendel, Junior Fellow at the Institute for Cultural Sciences in Vienna; and Professor Mina Cho from Chungnam National University in South Korea.